 I am so grateful to be the recipient of the 2017/2018 Oakridge Housing Scholarship. It is an honor to be chosen for this award from such a great group of students living in this community. Oakridge is a great place to live and I am happy to be spending another year here. 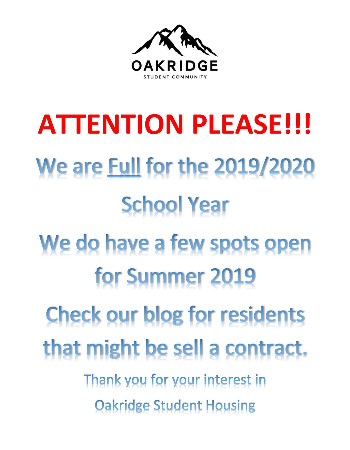 I have had many family members and friends that have lived at Oakridge and had great experiences. Many recommended I live in the complex, and I have not been disappointed. The location is very close to campus, which is great! I have really liked having a private bedroom. The property staff members are always willing to work with you and are good about being available to help when needed. The best thing about the complex is the student population who live on property. I have thoroughly enjoyed getting to know all my peers who are all friendly and sociable. I have been pleased with my neighbors, and made many new friends from those I have met from simply talking to those I’ve rubbed shoulders with or waiting at the bus stop that is right by the front entrance. There are always activities happening on the property. Whether a group is playing sand volleyball, people are socializing in the hot tub, or friends are simply hanging out with the neighbors, there never seems to fail to be something fun to do. But, on the other hand it is nice to be able to retreat to my own personal space in my room when I need to study or want to spend some time with just myself. It is nice to have so many amenities on the property. From the laundromat to the TV and internet service, it really is the complete package. I am excited to be spending another year in this great community. I would recommend living at Oakridge to anyone! Click below to download the application for the scholarship.